The official conference dinner will be held in the Castillo Bosque de la Zoreda on Sunday 26 August from 20:00 to 24:00. 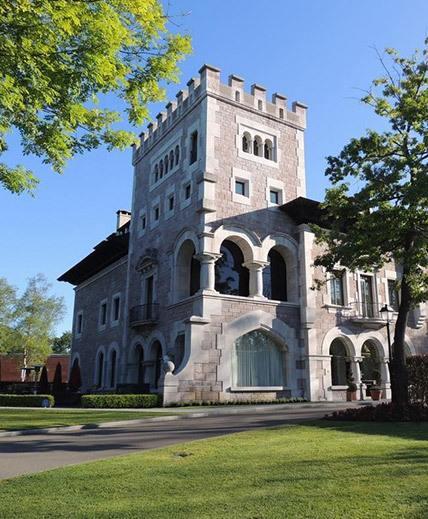 The venue was originally a castle and farm in the middle of a forest. A few years ago, it was rehabilitated and transformed into a Luxury Hotel. Beside the palace, there is a multipurpose building which offers magnificent facilities to celebrate the ECM31 Banquet. The building is surrounded by beautiful landscaped gardens and can accommodate up to 900 people. Join us at Castillo Bosque de la Zoreda to enjoy the company of old and new friends and eat fabulous food. The official conference dinner will be a unique and special experience offering delegates an opportunity to informally chat to fellow delegates within a relaxed atmosphere. Tickets for the dinner can be booked in the ECM31 User Area.